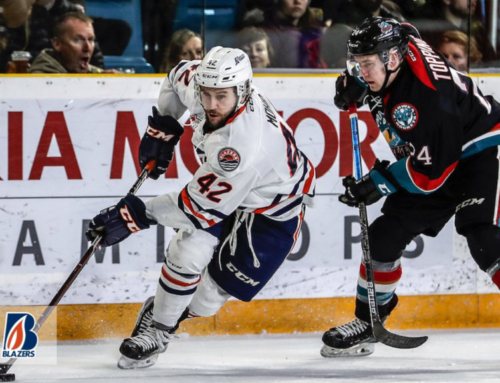 February 19, 2018 – TD Bank Group, a huge supporter of the United Way, raised over $48, 000 in the Central and South Okanagan regions in 2017. 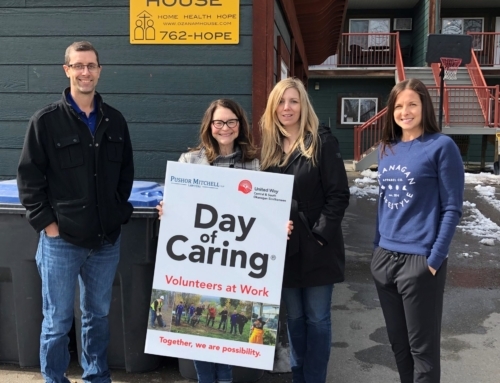 This puts them firmly among United Way Central and South Okanagan’s top five workplace campaigns! 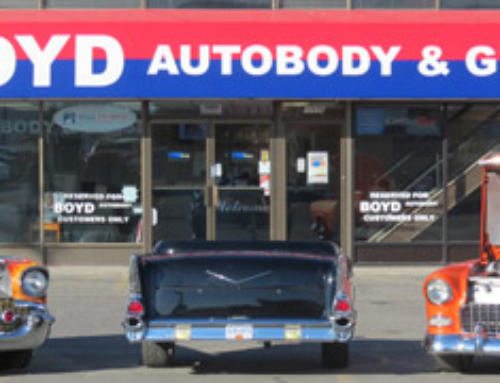 These funds were raised by all the branches and include donations from employees, corporate donations, and special events like their 2nd annual dodgeball tournament in support of the United Way. 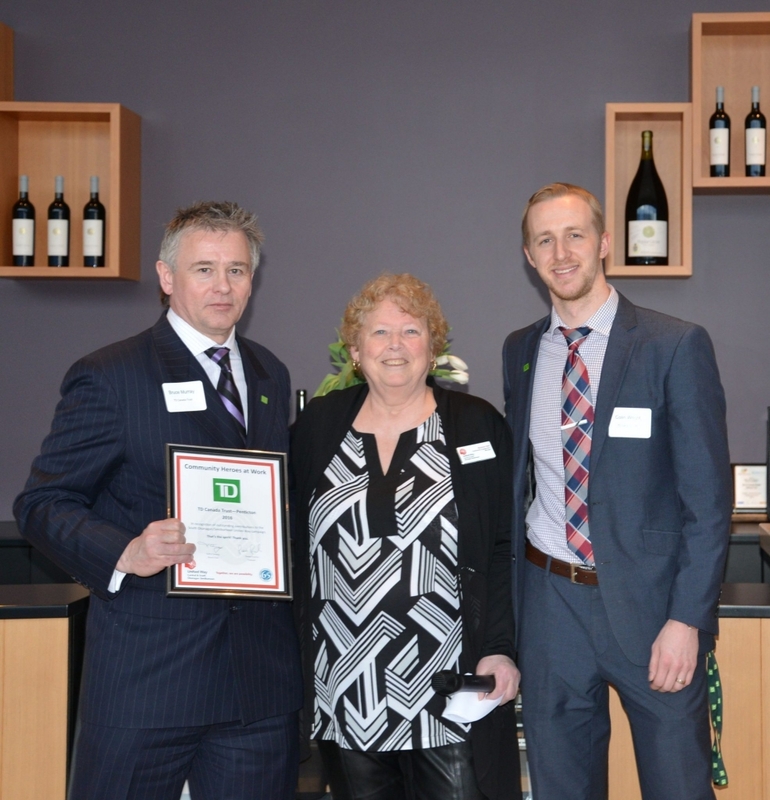 At the 2017 Community Appreciation Celebration, Bruce Murray, Branch Manager for TD Bank Main Branch accepts their appreciation certificate with Bonnie Hall, UWCSO and Colin Wright of TD Cherry Lane branch. TD Bank Group sponsored the South Okanagan Community Appreciation Celebration, recognizing the contributions to the community campaign from donors (individual, corporate, and workplace campaigns), non-profit partners, and sponsors. 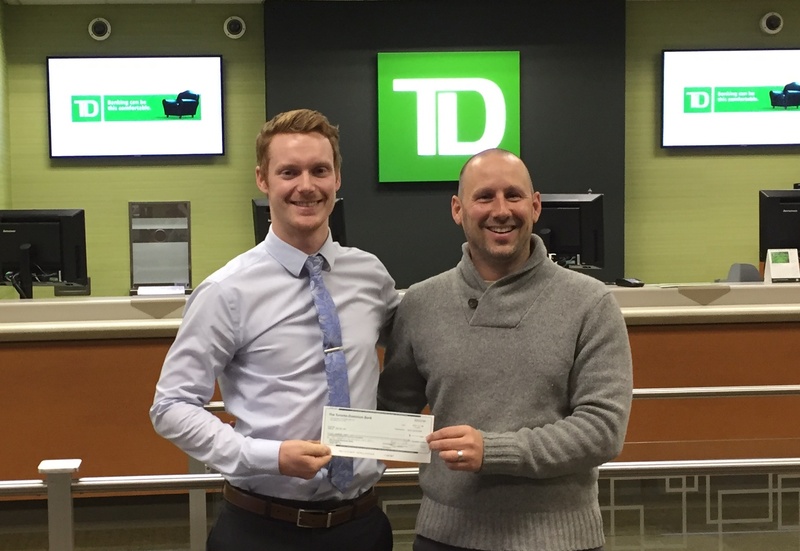 Pictured above: Ryan, Financial Advisor at the TD Dilworth Branch in Kelowna, presenting the United Way with a cheque from their dodgeball event. 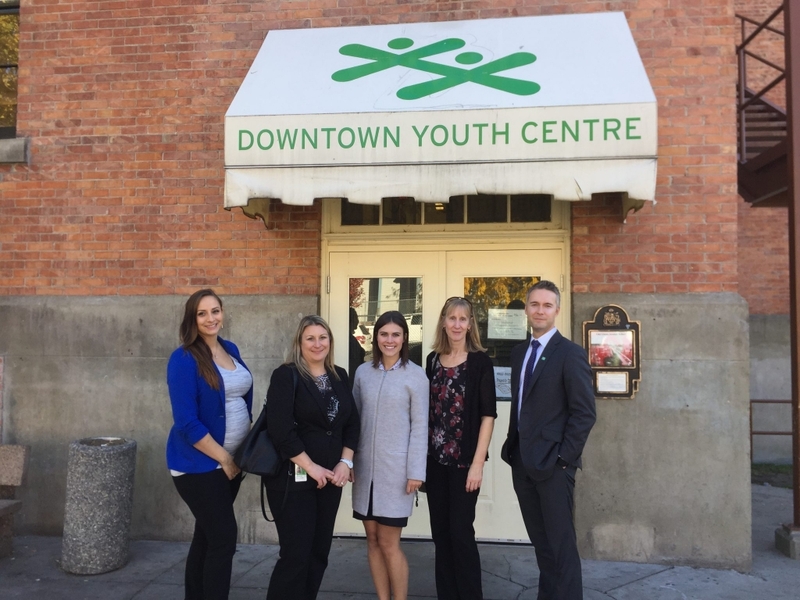 Pictured above: TD staff participating in a TD Seeing is Believing walking tour, where they visited Okanagan Boys and Girls Club – Downtown Youth Centre. 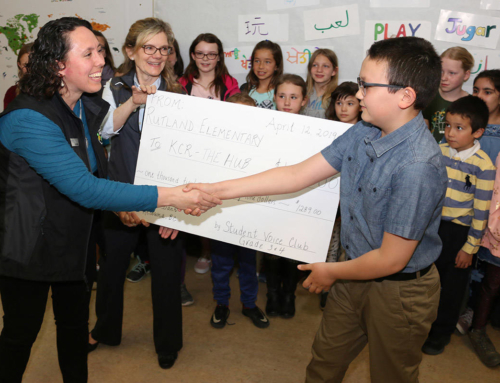 As part of employee engagement and the annual campaign, members of the downtown Ellis branch toured the Okanagan Boys and Girls Clubs Downtown Youth Shelter, one of our funded partners, seeing first-hand the impact of their donations. 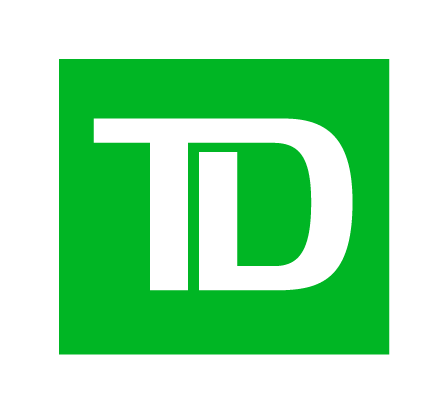 Thank you, TD Canada Trust!